Impending Doom has signed with eOne Music and they will release a new full length album called "Death Will Reign" on November 5, 2013. The band and the label say this will be the band's most ferocious material to date. "We wanted this album to sound very natural and unpolished," explains longtime bassist David Sittig, a part of the lineup since before the first album's release. "There's no crazy digital stuff. There are no fake drums. We wanted it to have the feel of our first album with the songwriting from the last one. We've gotten better at song structures and so forth over the years, but we wanted to recapture that old-school vibe, too." The Blast plays their song "My Light Unseen" full format and several other cuts from their most recent albums on our weekend Blastmetal show. The Blast has won a national/international radio award on Tuesday night in Orlando, Florida, at the RAIN Internet Radio Awards. 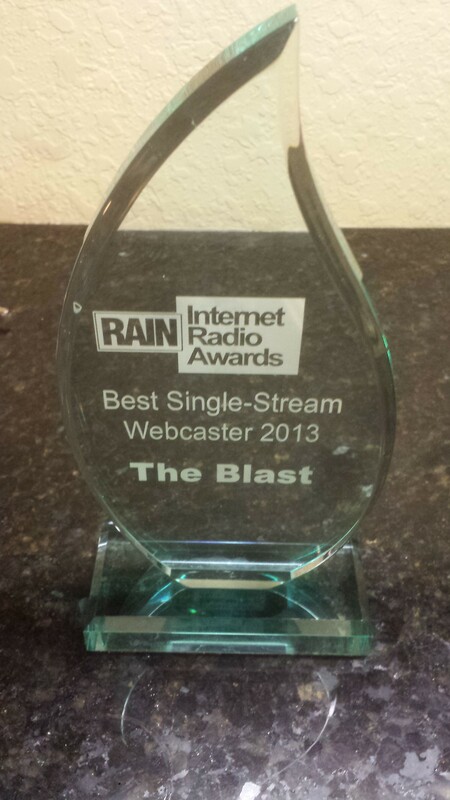 The Blast won in the category of "Best Single Stream Webcaster." The Blast founder Colin "Cruz" Strombeck is in Orlando to receive the award and says "When we were announced as the winner, I was elated. One person who heard my brief acceptance speech said my smile lit up the room." Pillar is going to have a song on what will eseentially be a soundtrack for a major theatrical release called "Day Of War". This song will also be on the new CD from Pillar, which has been delayed until 2014, partly because of their commitment to write and record this song for the movie. At this time, the song's tentative title is "Lions Lead The Way". Pillar bass player Kalel assures us the song will be very heavy and says it is Noah riffage at its finest. (Referring to Noah Henson, guitarist of Pillar). Reading between the lines, it sounds like the fact that the guys in the band have, collectively,13 kids now, is probably slowing them down, too. Kalel says as soon as they get done recording this soundtrack song, they will start writing the rest of the new Pillar album. "I will tell you this new Pillar album is going to be freaking heavy. A lot of the music and riffs are written and they are "next level" for us. I am sure Rob has some screams planned in choice spots. We are still going to keep it all catchy and melodic, but the riffs and Lester's drumming is heavy as crud." "We are open to whatever makes sense. 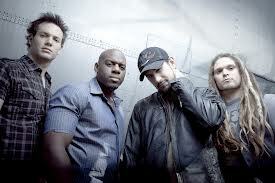 A few labels are waiting to hear from us but we want to get the album done first." "Yeah there will be a few songs for CHR as well." 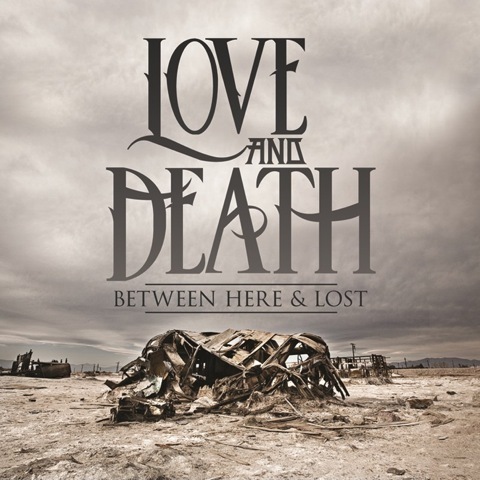 Tooth And Nail Records is going to re-issue Love And Death's album "Between Here And Lost" as an expanded edition on September 17th. 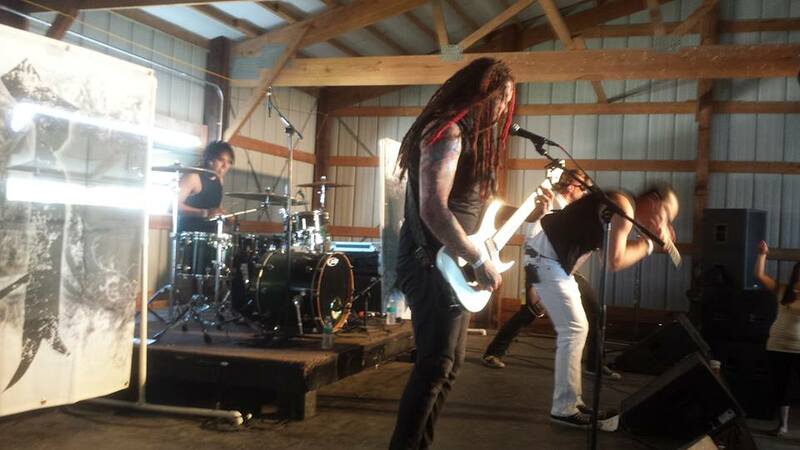 The new version of the album will have 3 additional tracks, in addition to the original 11 songs on the record. 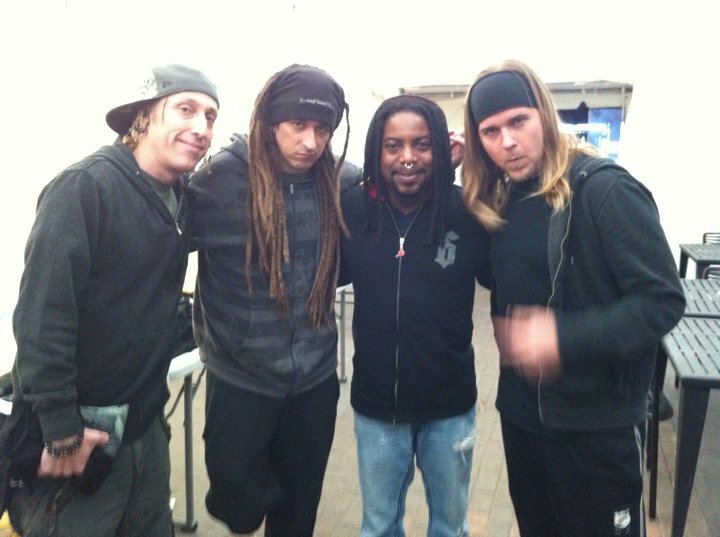 The 3 new tracks will include Jason Rauch remixes of the songs "The Abandoning" and "Meltdown", plus the song "Empty." Since October had been quiet for a long time. Months ago, they shared that they were contemplating whether to record another album. Well, they have decided to do it! Songs are written and they are hitting the studio soon! The Blast was one of the first radio stations to play Since October, starting with the original demo version of "Beautiful", which we played off one of their DIY projects, pre-Tooth and Nail days, and that is the version we still play, in addition to several other hits of theirs. We know that God is bigger than us, he's bigger than money, and he is bigger than this situation. We know that he will continue to provide and bless this ministry as he always has. We just ask that all of you keep us and our families in your prayers during this stressful time. And most importantly, we ask you to pray for those who did this. They must be in a bad situation if they resort to this. What do ESPN Radio, Pandora, iHeart, Slacker, TuneIn Radio and The Blast have in common? All of these entities are finalists in at least one of the categories of the RAIN (Radio And Internet Newsletter) Internet Radio Awards 2013, which will be held at the RAIN Summit in Orlando, Tuesday September 17th. This is the second time The Blast has been a finalist. It was a top 5 finalist in 2011, the only other year The Blast entered the contest, and this year it is a Top 3 finalist in the category of "Best Single Stream Webcaster". While The Blast simulcasts a bunch of streams at various bit rates (to suit various intenet connection speeds, data plans, and bandwidth usage limits), it only has 1 stream of original content. We're following an issue regarding the Multi-Stream Flash Player. Right now it seems to always work in Firefox, however the Flash Plugin in Chrome and Internet Explorer seems to be an issue and it is causing the player not to load. That's the theory at the moment. The fix, is to clear your cache, specifically your plugin data. Once reset, please try the player again. If it keeps failing, please email webmaster@theblast.fm and tell us as much as you can about the browser you are using and what steps you've taken. Today, we've had some intermittent internet routing issues between our sending data center and the Virginia data center that hosts the 64k and 32k streams, causing dead air on those streams at times. If you experience this in one of our apps or in the multi-stream flash player on the website, switch to our 56k, 48k, or 24k AAC+ streams, as those are hosted in different locations than the affected streams.